Scandinavian societies operate in a way that really amazes me, a model built on trust and honesty. This system would never work in Asia where everyone is trying to scrape pennies and cheat the system. To activate the Copenhagen Card, you essentially need to just write the date and time on the back, and it’ll be valid for 24hrs thereafter. We got onto the train from Østerport and rushed onto the train for Hillerød. We ran on so fast, it was confusing on how the whole ticketing system worked. With the Copenhagen Card, you can ride to Hillerød for free. But I thought someone would check the ticket, however that never happened. There aren’t any gates either to enter or exit the stations. This is what I mean by the trusting way of how the Scandinavian society operates. After getting off at Hillerød, we went to the 7-11 beside the train station to grab a quick breakfast. Coffee and hot chocolate are again, self-served. They also have fresh baked pastries, and I opted for a Cinnamon bun. It’s just really nice that there are so many different types of coffee and hot beverages you can self-serve. It’s easy to operate, saves time, and is convenient. The walk over to Frederiksborg Castle is about 20 minutes, so we decided to take a bus there and walk back. The Copenhagen Card still works here so it’s quite nice. After getting off the bus, it was still a long walk to the entrance of the castle. Like any castle, the entrance is a very long walk way, over a bridge because there is water surrounding the castle. And then you walk through this short tunnel and there the Castle stands, magnificently. It’s made of mostly red brick, topped with green rooftops. This castle has many rooms which take you on a journey of 500 years of Danish history, through portraits, paintings, furniture and so on. The Chapel was especially magnificent. There are shields on the wall of the many friends of the Danish Royal family, including Prince Charles of “Britanniae”, Sonja – Principissa of Regia Norvegiae, and Nelson R. Mandela of Reipubl: Africae Australis. As you walk through the rooms, you can imagine the life of Kings and Queens and their families who once lived here. There were rooms of all sorts, sleeping chambers, music room, and the spectacular Great Hall where many balls were held and royals & elites danced on these marble floors. After the castle visit, we walked through the small town of Hillerød. It was quiet but pleasant, with many small shops selling home and gardening products. The funniest thing I saw was an entire rack of bicycle bells, this is so Danish! This is just one of the many beautiful Castles in Denmark. 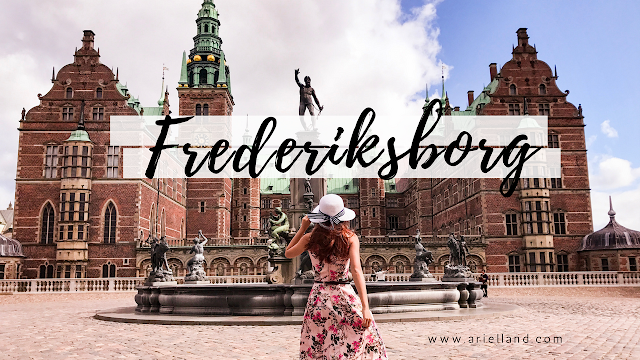 You can also visit Christianborg, Amalienborg, and Rosenborg within Copenhagen City. See more sites in Denmark by browsing under the Travel - Denmark lable. I beg your pardon? I'm so confused by your comment. Denmark is a country, and so is Sweden. The two are separate.